Earlier this month, the U.S. Interagency Council on Homelessness and seven other Federal agencies signed an historic memorandum of understanding to implement strategies that set a path to end homelessness among Native Americans. The memorandum commits USICH and the Departments of Interior, Labor, Veterans Affairs, Health and Human Services, Education, Agriculture, and Housing and Urban Development to work together on several key actions that will begin to address homelessness both on and off tribal lands. The memorandum was the culmination of work undertaken by the Interagency Working Group on Homelessness among American Indians and Alaska Natives (AI/AN) that was presented to Council during our October meeting. It was informed by conversations with Tribal leaders, urban native communities, and experts. All of the agencies involved walked away from those discussions with a few clear and shared convictions. That progress on ending AI/AN homelessness is essential to achieve the Opening Doors goal to set a path to end all types of homelessness in 2020 – we cannot say we have defined such a path if it does not include addressing AI/AN homelessness, both on and off of Tribal lands. That the needs among Native Americans are both unique and uniquely underserved and that they merit special ongoing focus and attention from Council agencies. That we are also called to this focus and to action by the treaty and trust obligations that the Federal government has to tribes. While only 1.2 percent of the national population self-identifies as AI/AN, 2.3 percent of all people experiencing sheltered homelessness, 2.0 percent of all sheltered individuals, and 2.9 percent of all sheltered families self-identify as AI/AN (HUD, 2013). These data are primarily limited to Native Americans experiencing homelessness off Tribal lands. At least 8.8 percent of households in Native American communities are overcrowded compared with 3.0 percent nationwide (Housing Assistance Council, 2013). By some estimates, as many as one in five people (19 percent) living on Tribal lands are living in overcrowded housing situations. Discussions with Tribal leaders and subject matter experts have lead us to conclude that these data do not fully represent the housing crisis in tribal communities, and that the percentage of people in overcrowded housing situations is likely higher. American Indian and Alaska Native communities disproportionately encounter challenges associated with homelessness, including poverty, health and behavioral conditions, domestic violence, and affordable housing shortages. AI/AN also face additional challenges, including a lack of infrastructure, a lack of culturally relevant systems and services, racism and stereotyping, and unresolved historical trauma. To address these challenges, the Interagency Working Group identified a set of actions that together will set a path to end homelessness on and off Tribal lands. At the same time, because we know that there have been decades of underinvestment and lack of infrastructure in Tribal communities, the working group is focused on the short-term actions that lay the groundwork for future work. 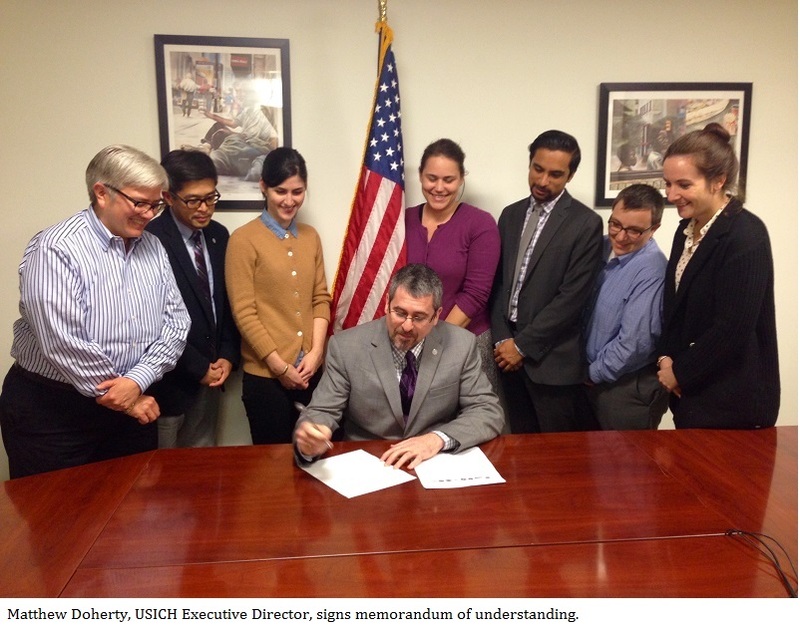 Executing the memorandum of understanding among Federal agencies will help drive action in each of these strategic areas – and will also help ensure that these issues continue to receive special attention. These steps are only the first steps on a shared path to ending homelessness among American Indians and Alaskan Natives. To read more about our October Council meeting, check out Executive Director Matthew Doherty's update of the meeting, including details on racial disparities in homelessness, and Deputy Director Richard Cho's overview on breaking the cycle of homelessness and criminal justice system involvement.